Today’s post is an eclectic collection of info and links that have caught my attention this past week. First is a round-up of Android apps for the outdoors, compliments of Trailblazer Hub. (Here’s an earlier round-up of iPhone apps for the outdoors.) 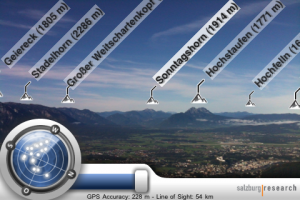 I was particularly intrigued by the Peak.ar app, which identifies surrounding mountains visible from any summit or other viewpoint with the help of your smart phone’s internal GPS. It gets its data from OpenStreetMap—not clear how comprehensive the coverage is for the White Mountains and elsewhere in New England. If you try it out, please let me know! 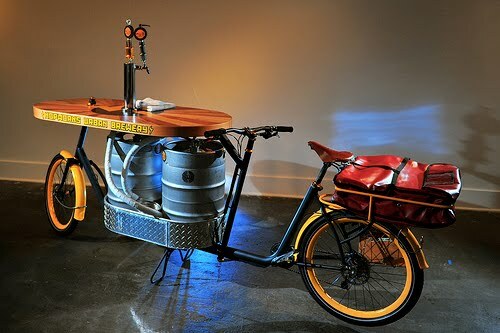 Next is the ultimate beer-drinker’s party bike: The Hopworks Beer Bike. Developed by Oregon-based Metrofiets Cargo Bikes for Hopworks Urban Brewery, this custom-built bike holds not one, but two kegs, each with a separate tap protruding from its wooden bar platform. Finally, the New York-New Jersey Trail Conference has released a new updated version of its two-map set for Harriman-Bear Mountain Trails. This 2010 version ($9.95) includes the recent trail relocations on Bear Mountain and is a must-have for anybody visiting this iconic destination.